Find channel listings for DISH TV packages: America's Top 120, 120+, 200, and 250. America’s Top packages from DISH Network offer as many as 330 base channels (200 in HD!) including local networks, over 8,000 free On Demand titles, and anytime mobile streaming from the DISH Anywhere™ app. To help you get even more of the TV you love, DISH also offers add-on channel packs at reasonable prices. Scroll down to learn more about available add-ons and choose the ones you want. Most TV providers charge extra to bring you local channels—DISH never does. No matter which America's Top package you order from DISH TV, local and regional channels are always included in your subscription so you can stay connected to news and other programs that were made for you and your community. 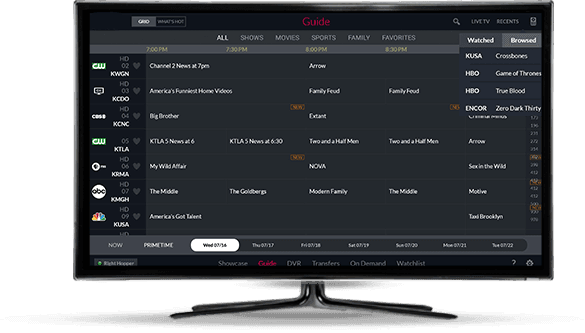 Get access to some of television’s most exclusive movies, TV series, and sports when you add premium channels to your DISH TV package. Click below for pricing and details—plus, order today and get SHOWTIME and DISH Movie Pack FREE for 3 months so you can give them a try and see what you like. For the ultimate sports fan, the DISH Multi-Sports Pack gives you 35 channels including MLB Network and NFL RedZone. Or, if you’re looking to add more of your favorite sport, DISH has a variety of sports add-ons that give you maximum out-of-market coverage and 24/7 expert analysis starting at $4/mo. Whether you want a wide range of sports programming or just don’t want to miss a minute of your favorite sport, DISH has an affordable option for you. DishLATINO has more fútbol programming than any other TV provider. Watch up to six games at a time, trash talk with the help of the social app, and never miss a game while you’re on-the-go thanks to the DISH Anywhere app. DishLATINO is not only your source for La Liga and Premier League matches, but a ton of other sports action en español. DishLATINO also offers the best in bilingual entertainment from any major TV provider. Featuring over 40 channels in Spanish and hundreds of English-language channels, DishLATINO provides more sports, news, movies, and entertainment in both languages. 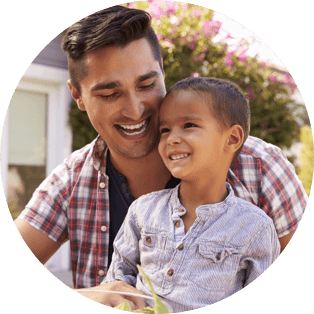 Whether you’re looking to teach your kids Spanish or connect with family and friends abroad, DishLATINO has all of the Spanish and English programming you need. DISH also offers international channel packs for your home or business. With over 270 international channels available in more than 29 languages, DISH international channels will help you stay connected with your family and friends outside of the US.